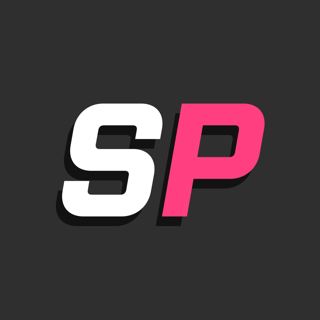 PrizePicks has created the most simple, fast & fun game to enhance your viewing experience. In less than a minute, you can submit your selections and have an added incentive for your nightly entertainment. 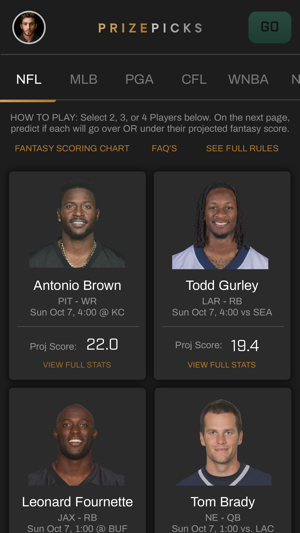 Simply choose 2,3, or 4 players and predict whether they're going OVER or UNDER their fantasy projection for tonight! 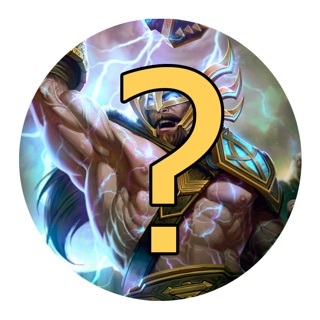 Get all your picks right and you win the contest! I’ve been playing daily fantasy sports for about 3 years and never have I had the success that I have had with Prize Picks. First of all, you don’t have to worry about putting together multiple lineups and competing against hundreds to thousands of people to turn a profit. With prize picks all you need to do is correctly guess the over or under on a couple of athletes and you are able to multiply your investment by 2.5 fold to 10 fold! 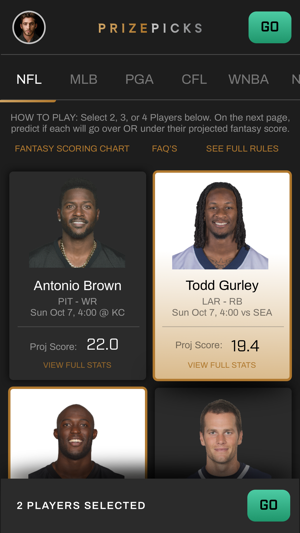 The app and gameplay are super easy to navigate through with everything you need to know about Prize Picks gameplay and rules conveniently located on your dashboard page. 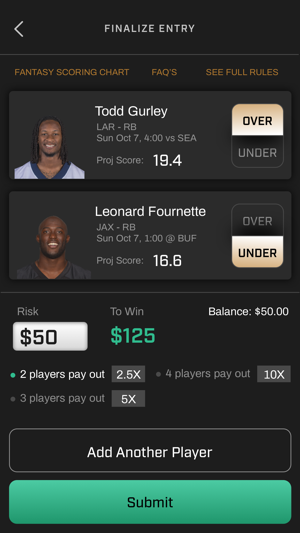 On top of simplifying the way daily Fantasy Sports are played Prize Picks matches your initial deposit and gives you a free 50 dollar contest entry when you sign up! First off, I’ve played on a ton of these sites/apps, and my #1 complaint is that you can never win because the competition is insane and stacked against you! Not here because you compete against yourself...You pick the over or under prop bet and sit back and relax...no fighting it out with 1000 people over a paltry $1.80 in winnings...the winnings are real, as I made $50 on the second contest I ever played...second, the customer service is amazing! They are always on the chat line helping you out and thoroughly explaining their policies and procedures! Plus the initial bonuses they give you are outstanding! You should take my word for it, and try it out-I’ve played on all these type of sites, and this is one of the best by far!